You can use this tool at any stage in building your business, whether you are just beginning or have been in business for many years. It will give you direction at times when you find yourself going in circles. It will inspire and boost you when your energy is low and help you know what to do when you find yourself at a dead end. This tool is so useful that once you begin using it, you will wonder how you ever got along without it. The powerful business building tool is a good question. Many inventions came about because of the asking of a good question. The idea to create Terra Cotta Pendants came to me because I asked one simple question. The story is here. Dave Kahle in his book The Six-Hat Salesperson outlines many different planning processes that are simply a series of good questions. Good questions: How can I find more contacts? How can I sponsor three new business-builders per month? How can I support, encourage and inspire my downline? What kind of meetings should I have? How can I sponsor everyone who comes to a meeting? Who would be a great partner for me? What’s the best strategy for working a Health Show? How can I advertise more efficiently? Where? How can I find places to present the oils? What am I doing that is working and what am I doing that is not working? Should create a website, start a newsletter? What is the best use of the time I have today, this week, this month for building my business? Ask questions specific to the season: What is the best way to introduce essential oils to people during the lazy days of summer? What are people looking for now (i.e. insect repellents, travel oils, sunburn relief) that essential oils provide? Where can I find new prospects? What should I be preparing now, to do this fall to build my business? What will work best in September, October, and November? If you can’t think of good questions, ask the powerful, all-purpose question: What questions should I be asking? My favorite question: What else can I do to build my business? An effective way to plan your week is to write down questions on Monday and pay attention to what happens. 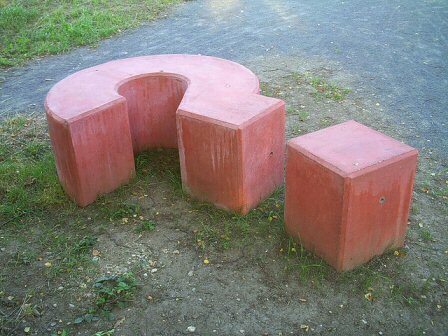 You can solve any problem, overcome any obstacle and discover great ideas with just one good question! Where do we find the answers? That’s a good question! Use the Search Engines, go to your public library or call your company support team or your upline. Find someone who is already successful in your arena and ask them! What we focus on expands. That is the power of this tool; the Universe will bring answers to you. But don’t just sit around waiting; move into action and meet it halfway! You haven’t even begun to realise your potential for success until you’ve become adept at unleashing the power of asking good questions. Effective business building begins with questions, continues with a mix of faith and action, and ends with a plan. In the next Article, we talk about the one thing common to all success stories. It needs to be a part of yours. Stay tuned. ©2007 Terra Cotta Pendants About the author: Lori Gosselin has worked in network marketing since 1997. In 2003 this passion led to the creation of www.Terra-Cotta-Pendants.com This is the third in a series of twelve Articles which outline a simple way to market essential oils.